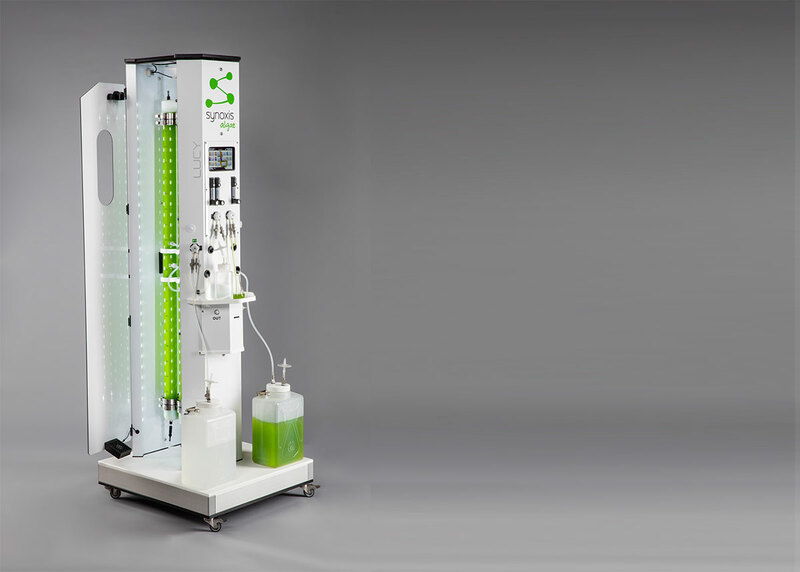 LUCY is the first product designed and built by Synoxis Algae. She integrates an innovative technology that produces quality biomass with high productivities. Used to produced inoculum and as a study tool for research laboratories, LUCY has the capacity to meet the needs of all the market participants. LUCY integrates the SALT technology just like all the products in the Synoxis Algae range (NANO and JUMBO). 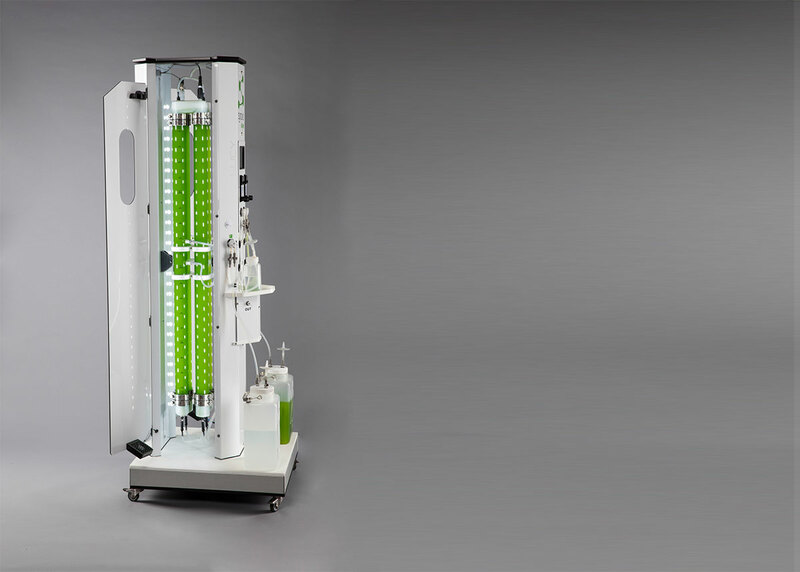 Adopting LUCY means taking part of the family of the new generation microalgae cultivators who wish to combine performance and simplicity of use. LUCY avoids contaminations and warns you by email alerts when she detects an unusual cultivation parameter. 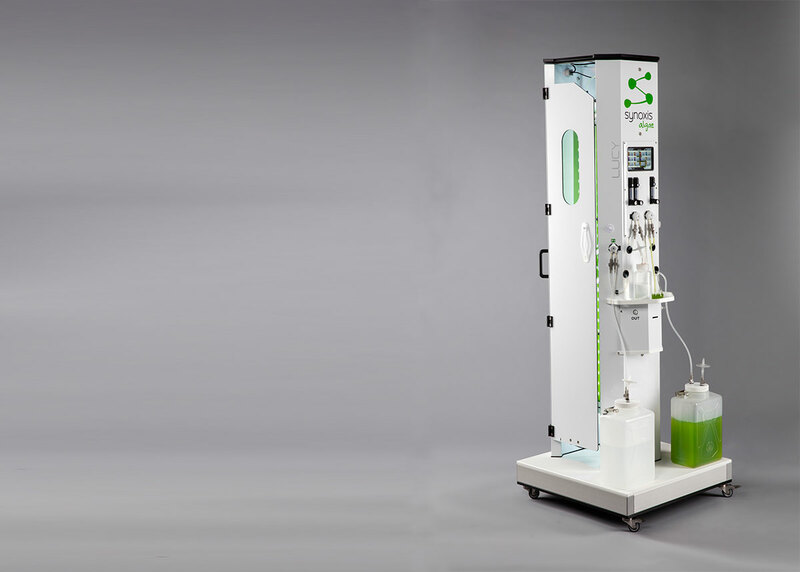 To measure the performances of your tool, our photobioreactor is also equipped of a functionality that gather the cultivation data. Her pilot system offers a batch, a semi-continuous or a continuous mode. Moreover, LUCY takes up very little space and is easily moveable thanks to her integrated wheels. First, she is the first one, she was created in 2016 and presented for the first time at the ISAP congress in Nantes. She is the inspiration for the entire Synoxis Algae range of products. Secondly, she is very pretty. The goal in her creation was to break with the traditional codes of photobioreactors. We wanted to make a cultivation system that was easy to handle with and eye-catching design. The method used for this realization was the design thinking that put the user at the center of the creative process. Thirdly, she is the best. LUCY always comes with us on events and everybody stops to take picture and asks us questions (even those who do not cultivate microalgae 😉). It would be too long to list all the qualities of LUCY, this is why we invite you, if you are interested, to take contact with us and to meet her in person. For that, it is simple: click here. Discover our other products. What do you need ?